The "About Us" pages contain various types of information about the club, that might be useful to members and prospective members of the club. 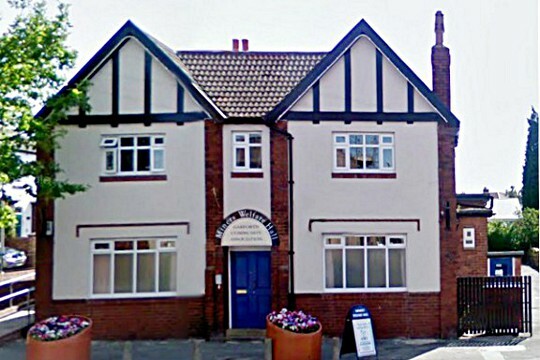 The club is based in the Miner's Welfare Hall in Garforth, near Leeds (directions can be found on our Location page). We shoot on most Friday evenings throughout the year, normally with a junior session from 6:30pm to 8:10pm and a normal club session from 8:15pm to 10:00pm. The hall is not large and we are restricted to a 20 yard range maximum, with 4 to 5 bosses, each with two faces (typically). These are arranged on the stage on cut down stands, but are still slightly above the normal height of a flat venue. The hall has rest room facilities and a kitchen so refreshments can be arranged. As we share the hall with other groups, no equipment is kept there for security and safety reasons, and it is stored at a secure off-site location. For outdoor shooting, we have access to the Gt. Preston Cricket Club ground and all their social facilities, where we try to shoot most Sundays throughout the year, usually setting up from midday. We can shoot up to 80 yards here. When that ground is not available we may be able to use the Garforth Cricket Club if that is available, although this rarely happens these days. We can shoot up to 60 yards here. We may have to make way for either of the cricket club's own use of the grounds, so we may shoot on different days of the week, depending on when we can get on-site. So always check with the club before attending. The club is very restricted in the number of people we can accommodate. Currently the normal club membership is full and we are unable to accept any more additional full memberships at this time. There is a waiting list and you can use the contact form on the Contact Us page to ask the club secretary if you can be added to the list. There are vacancies on the Outdoor Membership Scheme at this time, and when a full membership becomes available, priority to people already in this scheme, before offering to the waiting list. When there are places available, the joining process depends on whether you are a beginner or already a GNAS registered archer. Beginners will first need to complete a "Beginners' Course" (at any archery club in the UK) to gain their archery safety certificate. When we have capacity for more members, we run a Beginners' Course typically in January and February of the New Year. Once you have qualified for your safety certificate you may join any archery club in the UK with the capacity to accept you. People completing our own course are invited to join the club initially on the Outside Membership Scheme, if there are vacancies for them, and they wish to do so. Existing GNAS registered members can join the club at any time of the year if we have space. Currently we only have vacancies in our Outdoor Membership Scheme. For further information about joining please refer to both the Outdoors Beginners' Course Page and the Club Fees page, or for further questions (and current club availability status) please contact the Club via the Contact Us page. Because of limitations with the FULL membership, we have started an Outside Membership Scheme. This allows people who are happy to only shoot at our outside venue in Gt. Preston with the club, on most Sundays throughout the year. Such members can join in any of the social events that the club organizes, of course. If a normal membership becomes available, then priority is given to people in this Outside Only Membership to upgrade to a full membership. There is a reduced fee for this membership to reflect that you will not normally be able to shoot on Fridays at the indoor hall. Contact the club Secretary if you are already a GNAS card holder and would like to join the club under this scheme. For non-archers, we hold an Outside Beginners' Course most years in Spring where people who complete the course will be invited to join the Outside Membership scheme. The club is always delighted to try and help individuals or small groups of visiting archers when they are in our area when we have the capacity. As usual there is a small visitor's shooting fee and you will need to bring your GNAS registration details of course. As we occasionally have to give up the hall to other groups, or if the weather is good we might shoot outside on different days of the week, we request that you always prearrange your visit in advance, by using the form on the Contact Us page. Our secretary will then get back to you and indicate if we have the capacity to accommodate you, and confirm when and where we will be shooting. We look forward to meeting archers from all over at our friendly club. Bowmen Of Leeds Website designed and maintained by KenKode.